Ranking a YouTube video is based on two crucial things. First, marketers invest their time and find out YouTube ranking factors that are essential. Second, they try their best to implement these factors to get the desired results. 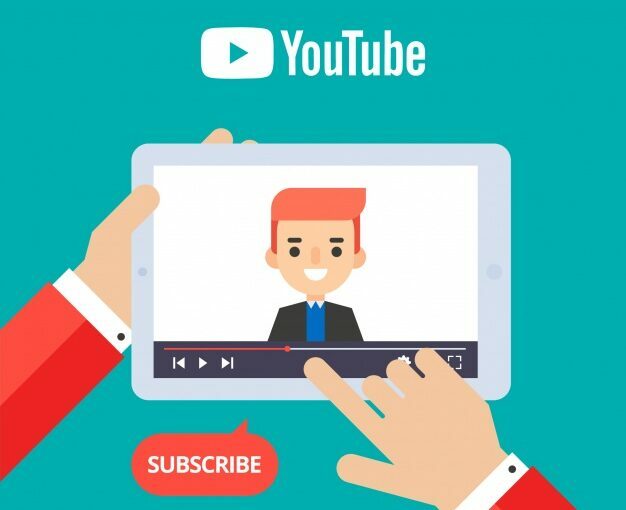 If you are still not sure, this blog will discuss five factors that help in YouTube ranking. It is obvious that the title is necessary for every video. On the other hand, YouTube has also made it clear that relevant titles help viewers find the video on the search page. Moreover, the title of your video allows users, YouTube, and even Google to understand the context of your content. Also, when you keep your title informative and up to the mark, you are likely to attract a new audience. This factor also increases the traffic on your channel. This step can also solve the problem of how to get youtube views. Use your title to add the targeted keyword as it will increase click-through rates as well. However, keep in mind that your titles need to be short containing five or more words only. Tags in a video matters as well as they help carry out YouTube SEO process effectively. In recent time, YouTubers add relevant tags to boost ranking and this technique helps. Moreover, you can use tags that similar to your keywords. Not only this, many YouTubers use LSI keywords as a tag too. Furthermore, the video you see on top of the search result contain tags as well. You can use these tags in your videos to make the most of them. You can take advantage of the YouTube description section. It offers plenty of space where you can provide detailed information and use keywords as well. You should never underestimate the significance of this description box. This is because the keywords you use here boosts views along with watch time as your video shows up in the search results. It lets YouTube and Google crawlers to grasp the context of your videos too which ultimately lead to a higher ranking. To make this technique work, you should always place your first keyword after 25 words in the description. You can keep it at least 200 words long and make sure you use a keyword 2-4 times in the description. Just like watch time, views on your content plays a crucial role in ranking. This means the more views you get the more it benefits your ranking. So, what you can do to get a considerable amount of views on your videos. First, you should always embed your videos on your blog. If you do not have a blog, you might need to one for this purpose. Moreover, a video can also get maximum views if you share it on other social networking websites. Once your video gets enough likes, you are likely to rank higher on search pages. YouTube looks for user experience on your videos to determine the quality of the content you produce. This way, YouTube can rank your content. For example, if your videos get comments, likes, and shares. And, new users also subscribe after watching your video. YouTube will ultimately keep your video on top of the search page because of user engagement metrics. If you put up a new video, make sure it keeps your audience engaged. You should interact with the subscribers so that they comment and provide feedback. You can also add a call to action and encourage viewers to like and share your video. These steps are common but play a significant role if done accurately. Every YouTuber dreams to be on the top of search result. However, only a few of them accomplish their goal. Not because it is difficult to rank higher but it is because of insufficient knowledge in this context. When you keep an eye on the mentioned factors, you are sure to make it.